My mother started a random acts of kindness group in her city. Once a month, the group would meet and organize anonymous acts of kindness for people in their community. They delivered food to struggling families, outfitted a new single mother with sewing machines and materials to start a business on Etsy, and meditated in an area of high crime (inspired by the DC study that showed crime rates drop substantially when a group meditates on their behalf at a focused period of time). I kept thinking about the stories she told me. Last summer, my son and I decided we would do one random, anonymous act of kindness each day. They were mostly tiny things — we mowed our neighbors’ lawns, gave money to people on the street, let people cut in front of us in rush hour traffic, and donated Legos and art materials to a school whose budget was cut. I may be naïve but I think if everyone on the planet did one act of kindness each day, we would see a decrease in hatred, assaults, and even war. I had the pleasure of interviewing Sara Connell. 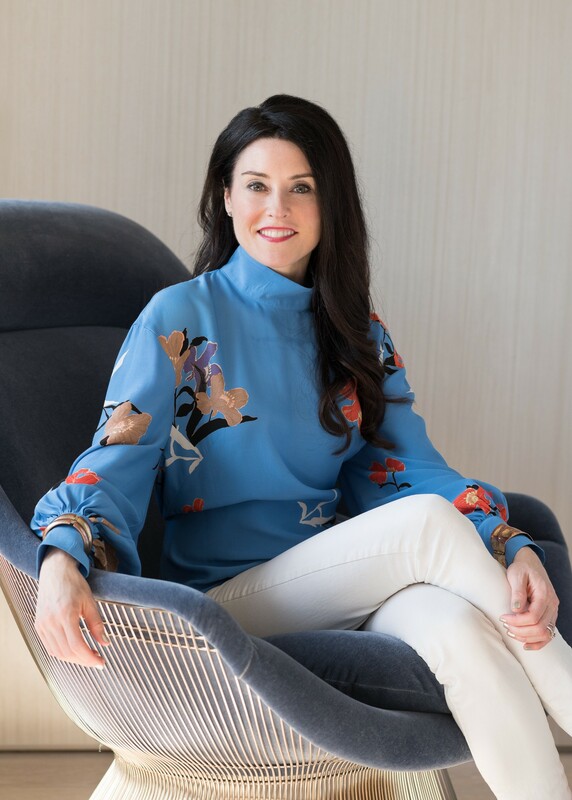 Sara Connell is a best-selling author and writing coach who lives in Chicago. Sara supports coaches, entrepreneurs, and writers in emerging as leaders and experts in their field through becoming successful- often bestselling- published authors. Sara has been featured on Oprah, Good Morning America, The View, Katie Couric, NPR, and FOX. Her writing has appeared in the New York Times, Good Housekeeping, Parenting, IO Literary Journal, and Psychobabble. Her first book, Bringing in Finn, was nominated for ELLE magazine’s Book of the Year award. Thanks for inviting me to share a bit about my journey. I think I came into the world wanting to write books. I filled journals, wrote bad poetry, and read with abandon. There was a sort of famous English teacher at my high school and he was the first published author I’d met. From watching movies and reading coming of age books I believed that if a person was destined to be a writer, a teacher would take them aside and tell them, “YOU ARE SUPPOSED TO BE A WRITER!” I wanted so badly for this teacher to do this for me. He never did. I didn’t realize I’d given this other person the power to determine if I was worthy of my goal. When that teacher didn’t affirm my writing destiny, I put my writing dream underground. I majored in English and read other people’s writing (which is great but will not in itself get one to reach a goal of being a writer). In my early twenties, I started writing in secret. I became a therapist and a life coach (to make an income) and wrote at night. I wrote an entire novel, but I wouldn’t show it to anyone. Finally, a friend had a kind of “intervention” with me and told me I had to take a class. Little by little I took actions towards becoming a “real” author (which for me meant publishing a book). Everyone I spoke to said you have to know people in publishing to become a published author, but I didn’t know anyone. I asked everyone I knew if they had any connections in the industry and finally, after about five months of asking, someone connected me to an agent in New York. The agent, Joy Tutela, kindly read my manuscript and gave me a long list of revisions. She told me if I was willing to make the changes, she’d consider representing me. You would think I would have run to my laptop and written feverishly until I’d finished he edits. But I couldn’t write. A day, a week, three weeks went by and I couldn’t write. I was terrified that I would try and fail and my dream would be dead. Thankfully, I’d heard of a writing coach in California. I called her and she walked me through the revision process step-by-step. I flew to New York that June to meet with Joy and she signed me. She’s been my agent ever since. That meeting led to my first book deal and to being on Oprah and being published in the New York Times. When the first hardcover box of books arrived at my house, I made a decision. I realized that what happens inside a person’s head (their thoughts, attitudes, and beliefs) has the power either to empower a dream or destroy it. I felt my worlds merge. I would bring all I had studied and learned as a coach, personal growth expert, and therapist to the journey of writing. I would devote myself and my practice to helping other writers/thought leaders/visionaries achieve their goals of writing and publishing and bring their messages and stories to the world. I worked as a solopreneur for over a decade. The most surprising thing has been that this year, I felt the impetus to expand the impact of my company. I created a certification for editors to become writing coaches and brought on three new members to my team. I thought I’d be a sole proprietor forever, and now I have these amazing colleagues who allow us to work with so many more writers. It’s such a gift! Great question. I didn’t used to draft agreement letters and detail every aspect of the scope of work. In my mind, I’d agreed to edit say, 200 pages of someone’s book. They’d then present me with a 400-page draft and want me not only to edit it once, but edit their revisions. I didn’t know how to set boundaries. I probably thought writers wouldn’t work with me if I limited how much work I would actually do. It took about six really painful projects where I made very little per hour because I did so much extra work. Now, I discuss everything with clients in our initial conversation. We agree on exactly what and how much work we’ll be doing and I put everything in writing inside an e-signature document. I think the first few years were about me growing up and becoming a professional. I don’t have any entrepreneurs in my family and I discovered how shockingly much I needed to learn. What makes us stand out is that we coach the whole person. Everyone on our team is a skilled coach as well as an expert editor. We focus as much on mindset, goal setting, confidence, and life purpose as we do on the writing and editing. The books get done well. But as importantly, we coach the person on who they need to become to make an even bigger impact with their message, authenticity, and genius. To my knowledge, we’re the only writing coaching firm that works fully integrated as coaches and editors. Yes! We do a lot of individual coaching, but we are always creating new online and in person group classes. We run free writing challenges several times a year where a hundred or more writers get together to take a big leap forward in their craft. I’ll be teaching a new “How to Get Published” workshop in partnership with Northwestern University this year and launching new “Bestselling Author” programs in 2019. Get whatever support you need to play big and be awesomely visible. I don’t know if this is about being female, but I have confronted major resistance every time I’ve moved to a new level in my business. For years, I worked with a very small number of people. My handful of clients would stay with me for years and would get transformational results. When I wanted to work with more authors and become a six-figure business, I had to walk through every limiting message from my childhood, young adulthood, and all the stuff I’d picked up in the cultural ether (you’re not worthy, you don’t deserve this, you’re not something enough). It came down to a horrific fear of being visible (if I’m visible, people will judge me, criticize me, and reject me). Many of my female clients have expressed similar fears. I want women to cast off this fear. A mentor asked me if I would be willing to be judged by 25 percent of people if it meant I could help transform the lives and fulfill the dreams of 75 percent of people. This question really helped me. I found my courage by remembering that the work is not about me — it’s about serving others. I believe that companies reflect their leadership, so I spent a lot of time defining our company values and paradigms before I brought on my first three people. My responsibility as the founder of the company is to live these values and ideals every day. I have to walk the talk. My team is minute right now, but in terms of leading large teams, I’m working with a fabulous author-entrepreneur who manages several thousand women. Her book will focus on authentic leadership and finding balance and joy as an entrepreneur. She is a wonderful, smart, successful woman with employees who adore her, so I’m going to do whatever she recommends in the book! So many people! In terms of writers, I thank Elizabeth Gilbert, Ann Patchett, Kelly Link, and Rebecca Makkai. In my business I have to thank Carey Peters and Stacy Morgenstern who founded the Health Coach Institute. They started out training health coaches, but I went through their coaching mastery training and it changed my life. They are passionate about helping good coaches serve as many people as possible while creating financial prosperity. I did exactly what they told me to do to grow a business and went from making $20,000 annually to making $100,000 in about 14 months. When I had my first 10K month, Stacy gave me a hardcover journal with this giant tree etched onto the cover. Inside she wrote, “She thought she could, so she did.” So much of the time, when I have a new goal, I don’t believe I can achieve it. I have been saved over and over by the “act as if” model. I don’t have to actually believe in myself at the start, but if I take the actions I would take if I believe in myself, I will reach the goal. I keep Stacy’s journal close to my writing desk and use her words as a mantra. I sincerely hope so. This year, I’ve been to many book launches for my clients. I hear readers of their books share and often cry. Our current authors are writing about prevention of suicide in the military, spousal abuse, leadership, fertility, conscious parenting, recovery from addition, cancer prevention — so many important and amazing topics. Many times, they tell me or our team that they would never have finished or published their book if they’d not had the coaching support. As I shared earlier, working with a coach was pivotal to me getting an agent and my first book contract. As a human being, I think back to all the times a book healed or inspired or enriched me. There have actually been books I would say — in part — saved my life. I feel called and incredibly humbled to be part of the magic and transformation that books create. – Your life reflects the five people you’re around the most. I spent so much time fantasizing about things I wanted to do — from writing a book to starting my own business. I would want to make more money and then realize that everyone in my life was also struggling financially. Or, I wanted to become an author but didn’t know any writers. Now, every time I have a new goal, I research, find interviews when possible, train, or spend time with great people who have achieved that same goal. I look for the common denominators and work until I’ve implemented them in my life. This practice is so rudimentary, but it’s never not worked! – Set boundaries — per my earlier story — not being clear on boundaries with clients leads to costly operations and even resentment. – Inspired by passion — I offered an online program earlier this year and my heart wasn’t in it. I thought I “should” do it because it was the kind of thing other coaches were doing — my coach said it was a good idea. It was a self-study model when what I usually do is interactive and hands on. Very few people enrolled and the experience was lackluster for everyone. One of the women was brave enough to speak up. She gave me useful, honest feedback and I offered her a refund. She didn’t want the refund though. We ended up changing the program midway through into something dynamic and valuable for everyone. That experience taught me to go back to my core commitment to my clients — to only offer programs in which I am all in — and which exceed expectations! – Inundate with support- — I believe I can only give my best work if my well is full. As hard as it is to take time away from editing and meetings and networking — I require myself to do artist dates, hire my own coaches, and take time to attend conferences that light me up. I heard a speaker last year share that the number one practice that earns him more income is self-care. It feels so counterintuitive, but it’s nonnegotiable for me now. -FUN! This is a cousin to my passion criteria. When I follow “rules” that don’t jive with me or I overcommit myself, I get into a rut. I’m “making the doughnuts” if you will, but the work becomes drudgery. Soon, I’ll feel burned out — I’ve lost the spark. A colleague and I routinely ask each other, “What’s the most fun way?” we could do something. Putting fun in the forefront can seem immature or unprofessional, but our programs always succeed the most when we infuse them with maximum fun for ourselves and our clients. Writing a book can require a tremendous amount of work. We do a thing called “pleasure bundling” (where the writer rewards herself every time she writes). We play games, we laugh, and we do prompts. I think the projects get done even more efficiently when fun or play is injected. It’s definitely a more enjoyable ride. Everyone probably quotes ’Gandhi’s “Be the change” (which I wholeheartedly believe in) so I’m going to say Marianne Williamson/Nelson Mandela (there’s a debate about who used this first!). I love this quote because every time I want to run and hide — not expand, not give more of myself to my business or my clients or my family or my community — basically when I want to stay comfortable and in control of things — I force myself to read these words. Carey Peters who I mentioned earlier says that we can only lead our clients/customers as far as we have gone. I believe I will make the maximum positive impact on this planet if I continue to evolve, grow, challenge myself, and take risks in service of my life purpose. That quote calls me forth! Tony Robbins (TR). I haven’t seen him live (yet! ), but I have watched every TR video available on YouTube — many more than once. I think he’s the ultimate coach, and I would love to learn from a master. I would also be over the moon to have lunch with Tim Ferris. I love his podcast and have learned great entrepreneurship tips from his books. I’m also fascinated by the research he is funding at Johns Hopkins University. I’m starting my next novel this year and want to interview him about the study!